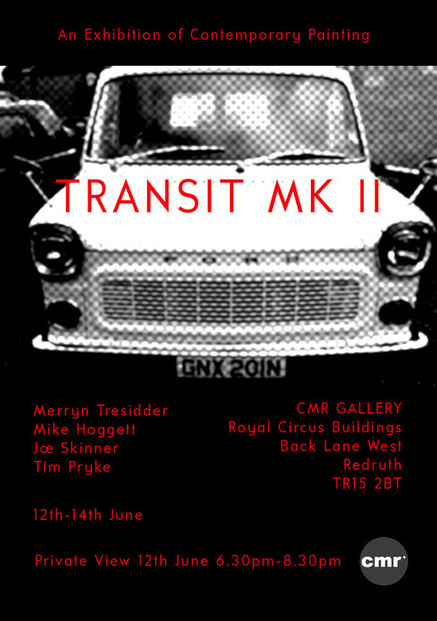 After the roaring success of Transit part one, Mike Hoggett, Tim Pryke, Joe Skinner and Merryn Tresidder would like to invite you to their second instalment in the 'Transit' series. For those of you who missed the first show, in Porthleven, the artists would like to offer a second opportunity to engage with a larger show of their work. 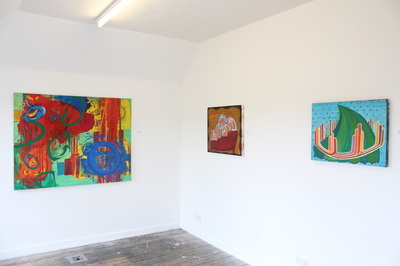 In an exhibition entitled 'Transit Mk II,' the four Helston based artists interrogate the movements and transitions from the daunting void of an empty canvas, to four very different outcomes. 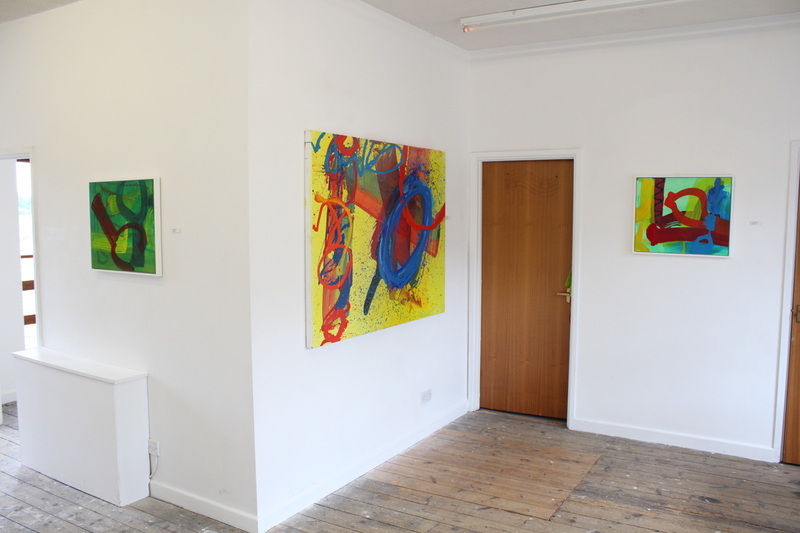 The work in the show demonstrates different approaches of engagement with pictorial language; exploring the realms between figurative and non-figurative, abstracted landscapes and abstract landscapes. What unites these painters is a firm belief that the painted surface still has a relevance and currency within contemporary art. 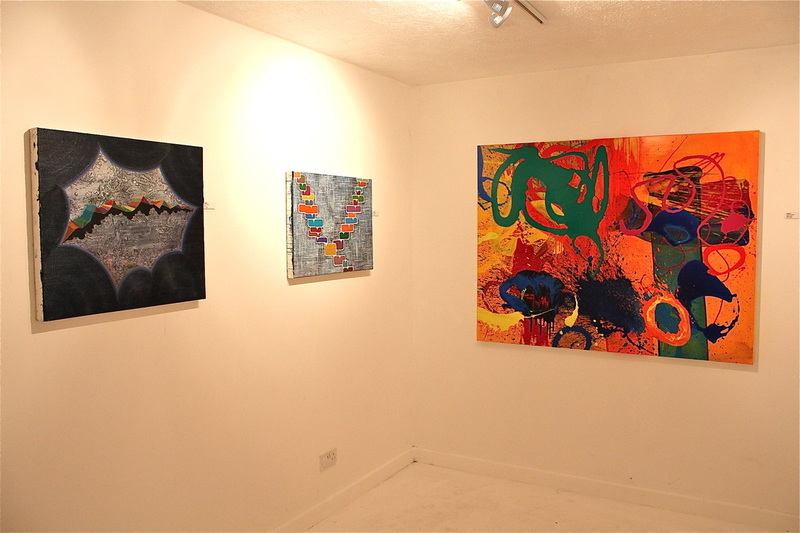 Ultimately however, the work in this show challenges the viewer to juggle visual pleasure with visceral engagement. 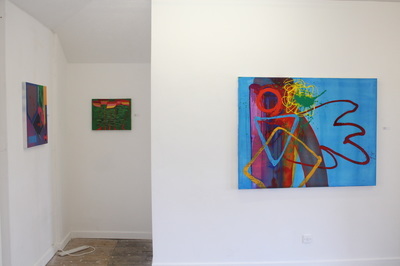 Using various modes of mark making and gesture, Hoggett, Pryke, Skinner and Tresidder demonstrate the relationships between colour and form in contemporary image making, throwing notions of traditional modernity in the rear view mirror of a metaphorical 'Transit' van.